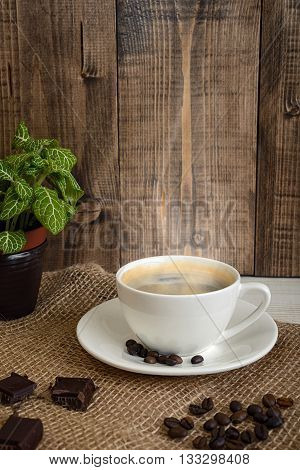 Cup of hot fragrant coffee and coffee beans with chocolate on a mesh fabric. Coffee house. Uplifting mood. Coffee break. Relax. Increasing productivity in the mornings. Coffee breakfast.